She approaches an empty, dark area and sees a suspicious individual. Shes unsure what he might do if she makes any abrupt movement to defend herself. Casually, she reaches into her purse to grab what looks like ordinary lipstick to doll herself up. As he arrives closer she removes the cap, shines the blinding light into his direction and fires off the thunderous shock of the DZS Lipstick 2.5 Million Volt Stun Gun. He runs off into the darkness, knowing his efforts will be met with consequences. 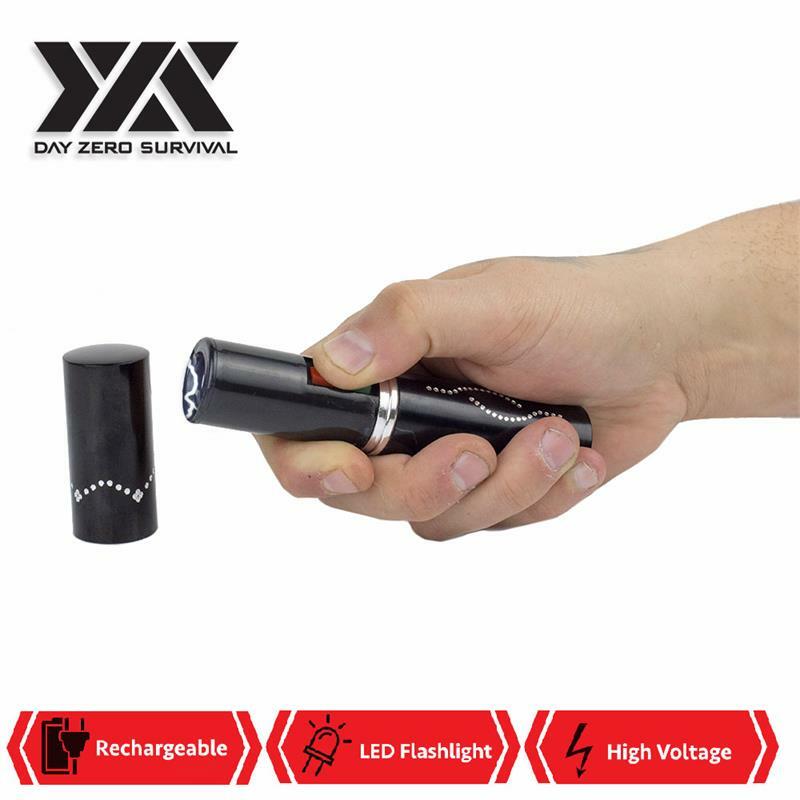 Day Zero Survival introduces the most discrete stun gun on the market. Enclosed in the body of cosmetic lipstick lies an even more disguised stun gun. This exclusive Fire it up, and the DZS sounds a rattling stun capable of immobilizing an attacker. 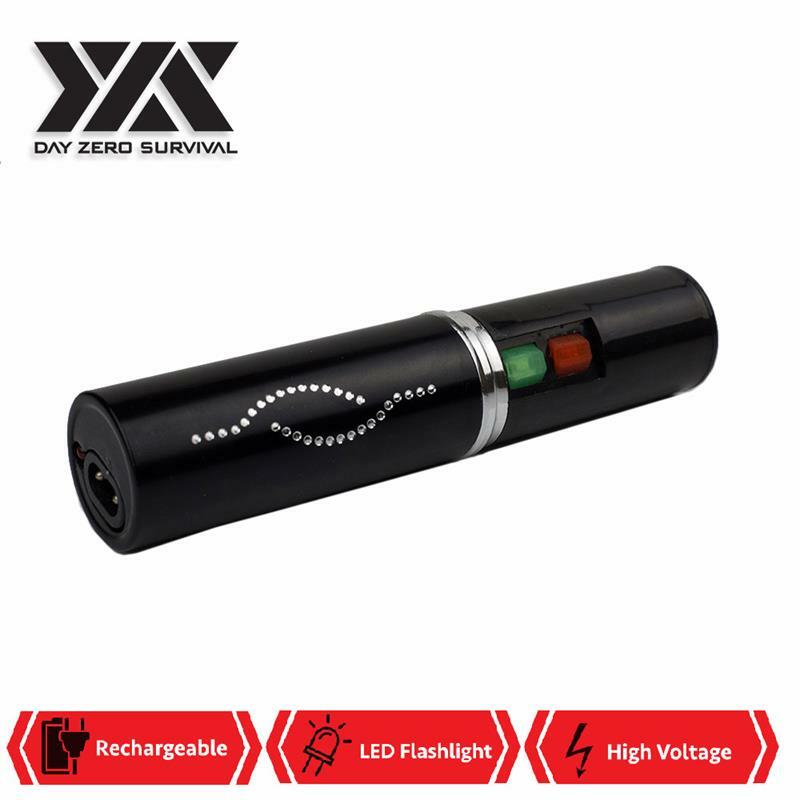 The DZS Lipstick 2.5 Million Volt Stun Gun Black comes with a very powerful flashlight. This gleaming light can be seen from yards away, serving purpose for an ideal, compact flashlight. It comes with a feminine designed outer casing and the wall plug wire.  A unique cover conceals the light and prongs.